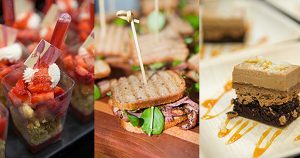 Sweet, Savory and Guilt-Free – Check Out Our Menu for Turn Up the Heat DC! Our menu is heating up! 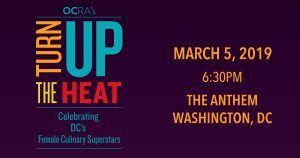 Here’s what you can enjoy at Turn Up the Heat DC on March 5th. And so much more! Check out our ever-expanding lineup of female culinary superstars bringing their talents to Turn Up the Heat, and get your tickets today! All money raised from Turn Up the Heat goes toward OCRA’s programs to end ovarian cancer.